That’s a lot of warm water that will help nourish our environment with cooling summer rains. I’ll be taking a back seat to hurricane tracking for the first time in over 50 years. This year is the 50-year anniversary of hurricane Dora, the first full-force hurricane to make landfall on northeast Florida since weather records began in 1871. 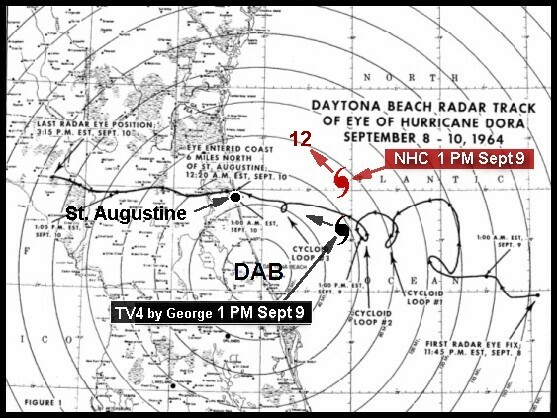 I was Jacksonville’s only full-time television meteorologist in 1964 when that storm hit. While the Miami Hurricane Center issued warnings and informed us of the position of the hurricane’s center, I predicted the storm’s motion towards our coast using coastal wind reports and barometer readings. Just using the motion of the hurricane’s eye sometimes does not necessarily define the movement of the storm’s direction. It may move erratically in gyrations, especially when the eye wall is especially wide. In the case of Dora, it made a more northerly motion as it approached the Gulf Stream about 100 miles off our coast. The Hurricane Center said the hurricane was centered east northeast of St. Augustine moving towards the northwest. In my storm update I reported that the barometer was still falling at Daytona Beach and that the storm could not be moving farther north. I predicted that the main center of the storm would continued towards St. Augustine because the barometer continued to fall at Daytona Beach. After broadcasting Dora’s approach around 2 PM, high winds and falling trees caused many parts of Jacksonville to lose electrical power. In spite of being only two blocks from JEA’s generating station and having two separate lines, WJXT became powerless, as well as most sections of the city. Local residents depended on battery-operated transistor radios for storm information. While the center of the storm’s rotation is used to track a storm’s movement, it is important to recognize that the highest winds of a hurricane are away the center, sometimes in an area between 10 and 50 miles north of the storm center. An analysis by the Weather Bureau determined that many places along the northeast Florida coast north of St. Augustine received sustained winds of 100 mph. Many coastal anemometers became inoperative as winds reached hurricane force, but one at Fernandina Beach measured 115 mph. In Jacksonville, the wind was measured at 82 mph with a peak gust of 85 mph, while the Mayport Naval Station measured the wind at 74 mph with a peak gust of 101 mph. St. Augustine’s wind was estimated at 125 mph, but a later analysis by the National Weather Service reduced that figure to 110 mph. In Georgia, the wind at Brunswick was estimated at 90 mph. The Storm Surge can be more deadly than the winds of a hurricane. The large counterclockwise circulation of a hurricane along our coast in tandem with a strong high pressure system to the north can push volumes of sea water across the north Florida and southeast Georgia shore. Dora’s winds pushed the tide at Brunswick, GA to a level 13 to 14 ft higher than MLW (mean low water). The only coastal deaths from Dora occurred at Brunswick, GA 85 miles north of the storm’s center where two men died while securing their boat. The tide at St. Augustine’s Anastasia Island the tide was 12 ft above normal, 4 ft higher than any previously known tide. But due to urgent warnings, there were no fatalities in northeast Florida coast. The highest storm tide at Fernandina was 1o ft while along Jacksonville’s St. Johns River, the highest water was estimated around 7 ft. Farther inland flooding was extremely severe in Suwannee and Lafayette counties. There was one drowning in Live Oak (85 miles west of Jacksonville) where 18.62 inches of rain flooded the city’s downtown. Closer to the Gulf of Mexico, Mayo, FL received 23.74 inches. The only other area fatalities occurred about 100 miles south of Jacksonville where two Navy airmen were killed during evacuation as their airplane crashed on takeoff at Sanford. Much credit for storm preparations must go to the Jacksonville office of the U.S. Weather Bureau (now National Weather Service) where I worked with Roger G. Plaster, Meteorologist-in-Charge for 5 years. Local preparations and recovery were directed by Jacksonville Civil Defense Director, Jack Weatherford, Mayor Haydon Burns, and Sheriff Dale Carson. Shelters were provided by the American Red Cross, and many boaters retrieved local residents from their homes in flooded areas near the creeks and rivers. 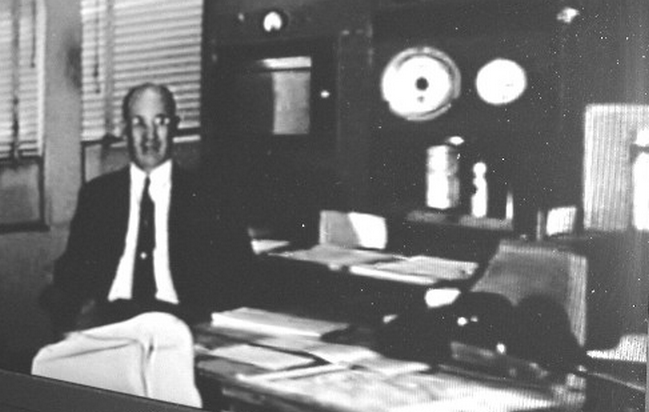 Back in the 1950s, the odds of a hurricane strike for several Florida cities was calculated by veteran Weather Bureau hurricane forecaster, Grady Norton. Norton gave Miami and Key West a 1 in 7 year chance of a hurricane strike. For north Florida, the odds were reduced to 1 in 40 years for Daytona Beach. and a 1 in 50 year probability for Jacksonville. His prediction seems to have come true since the year 2014 marks the 50-year anniversary Hurricane Dora’s landfall on our coast! 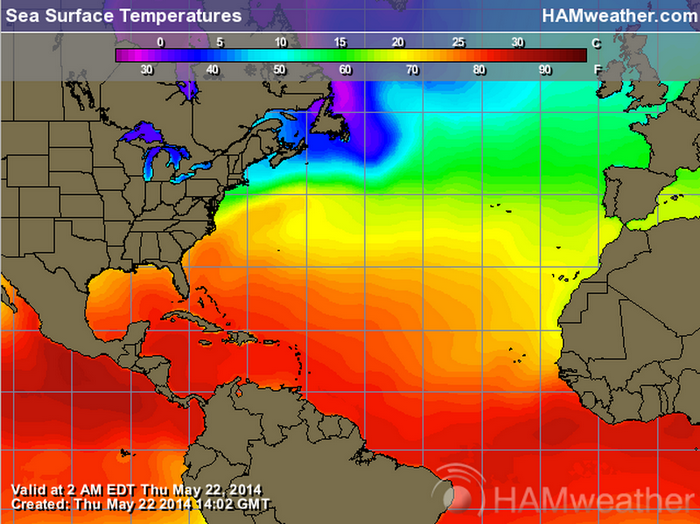 BEGINNING JUNE 2014, GRAPHICAL TROPICAL WEATHER OUTLOOK WILL BE GREATLY IMPROVED! geotv4 on SUPERSTORM SANDY’S STORM SURGE! 2015 toyota camry on SUPERSTORM SANDY’S STORM SURGE!